Take the mystery out of neighbourhood options for good! Choosing your new neighbourhood is an exciting time! There are also lots of options to choose from, so it's natural for you to have a few questions. Did you know there are 7 areas that you should explore before you decide on a neighbourhood? We put them all together for you in our FREE Guide: 7 Things To Consider When Choosing Your New Neighbourhood. Choosing your new neighbourhood should be exciting, not stressful. After reading our free guide, you will know what to look for in a community and find your best fit with ease. 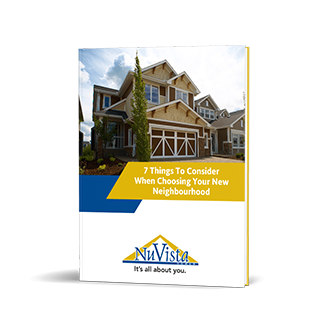 Fill out the form on this page to receive our FREE Guide: 7 Things To Consider When Choosing Your New Neighbourhood now!